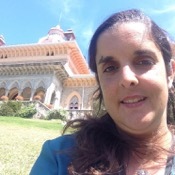 We were very impressed with the tour with Susana in Lisbon and Sintra, Portugal. We booked our tour last minute, but she was extremely prepared and accommodating of taking us to the places we wanted to visit. She was punctual, knowledgeable of all the places we visited, and provided very interesting commentary. Her van was very comfortable. We wanted to customize our tour and she was very flexible with our requests. TOUR GUIDE RESPONSE: Thank you very much Mrs Forehand,it was my pleasure to guide you and it is good to know that you enjoyde the day as well. Best wishes.Susana.